I got a new hair cut this weekend. I received a ton of compliments. I also was surprised at how many Sistah Queens said, “I wish I was brave enough to cut mine.” Other words they mentioned were “courage and “scared”. It was really interesting. A few Sistahs even said they can’t wear their hair short. Honestly, I never thought I would either. Now I absolutely love it. I thought I’d share my top three reasons for sporting a TWA (teeny-weeny afro). Reason #1: My hair is sassy and fun. It took a long time for me to accept my natural hair. It took me even longer to love and learn to care for it. Now I’m finding new creative ways to express myself through my hair. Fro-hawk or tapered with a dope design, I love the confidence it gives me. It forces people to look me in the face. I can’t hide behind my a long, swooped bob or a super high afro. People have to look at me, even if it’s out of curiosity. I want them to see my story. I try to give the world a message about who I am: sharp, edgy, daring, creative, and bold. I got cut up! That TWA life. Reason # 2: I’m a lazy natural. It takes too long to care for long hair. I’m at a point in my life where I want to do more important things, like learn to apply my makeup. 😂 Seriously, it only takes five minutes to style my hair. It air dries in about 20 minutes. I had to sit under a dry for 40 minutes or more when my hair was long. It also takes less products to moisturize and style it. My products usually last a month or more now instead of needing to be replaced every other week. That saves me more time and some money too. I big chop every other week. Reason #3: I learned what my hair liked after I big chopped. I wasted six months transitioning. It was a relief having one texture. I was able to experiment with moisturizers and sealants. If I don’t like it, I can rinse products out easily. My TWA has lot of shrinkage but I can still rock a twist-out or braid-outs. I like coils the most though. It was overwhelming trying to set those styles with long hair. So what do you think? Do you like short hairstyles on ladies? Would you rock one? Who or why not? 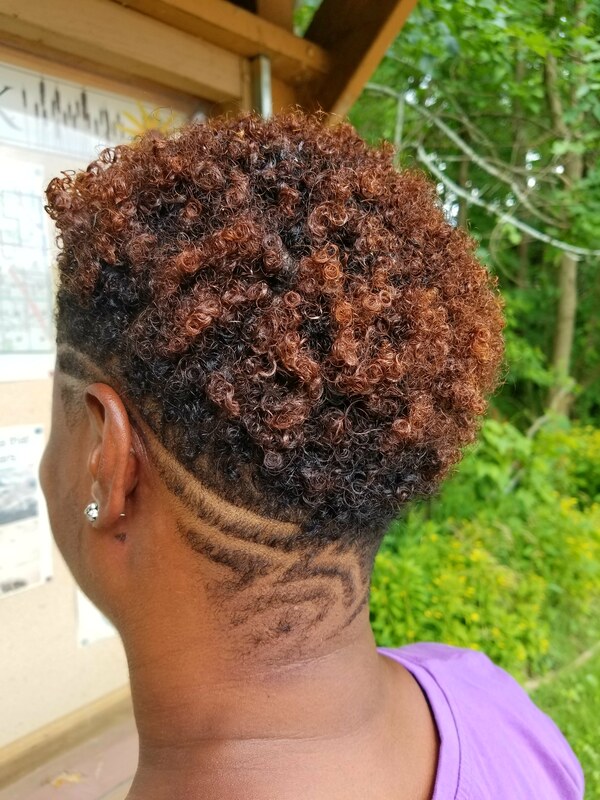 If you rock a TWA, what are your reasons? What are your favorite products? Holla at me. Share with a curlfriend.